Some gladiators wore very little armor, choosing instead to go into the arena carrying their given weapon and wearing only limited clothing and this Gladiator Leather Segmentata Arm Guard, preferring to rely mostly on offense to grant them victory. 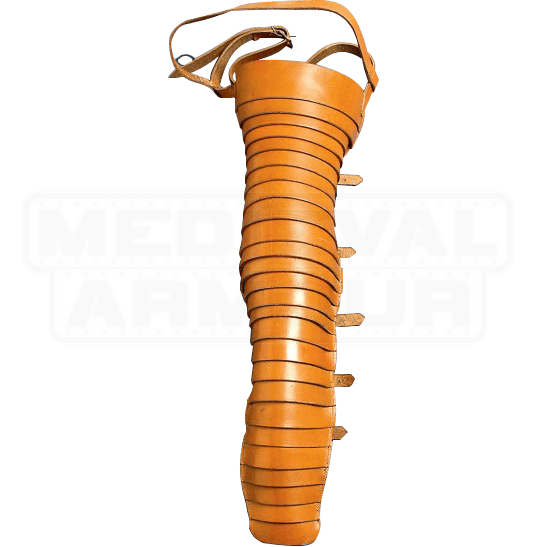 Named after the typical armor of the Roman soldier, segmentata refers to the practice of utilizing strips of material wrapped in a banded design to provide an armored defense, and that is exactly what this arm guard does. Consisting of several leather strips that are all overlapped on one another, this arm guard provides a significant level of defense without restricting the gladiators movement or agility. The arm guard is worn using a series of straps and buckles that secure the arm guard to the arm, as well as securing it at the shoulder to help support its weight. 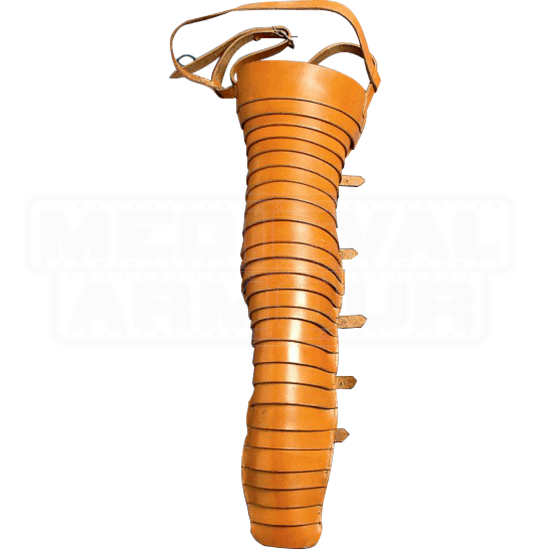 If you echo the mentality of the gladiators of antiquity and prefer to let your weapon and your skill see you to victory, than this Gladiator Leather Segmentata Arm Guard might be the only armor you need or want when you go into battle.